Kate Antesberger worked in finance for 13 years and always had a filled out planner. 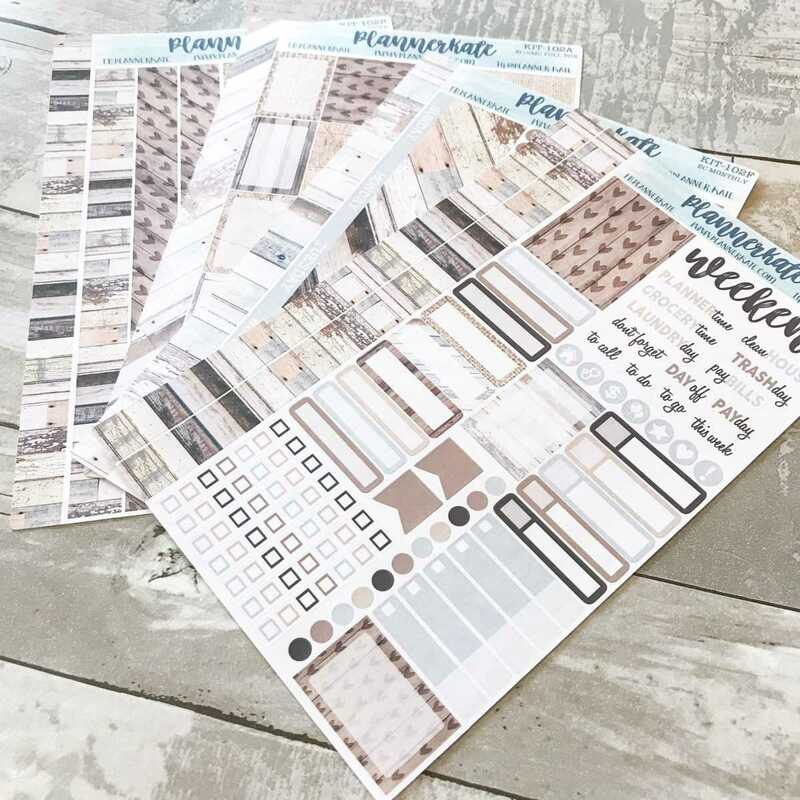 When she posted a photo on Instagram of some stickers she had made for the planner, one of her friends suggested she sell the stickers on Etsy. She opened shop that day as PlannerKate. Six months later, she quit her job and started doing her business full-time. 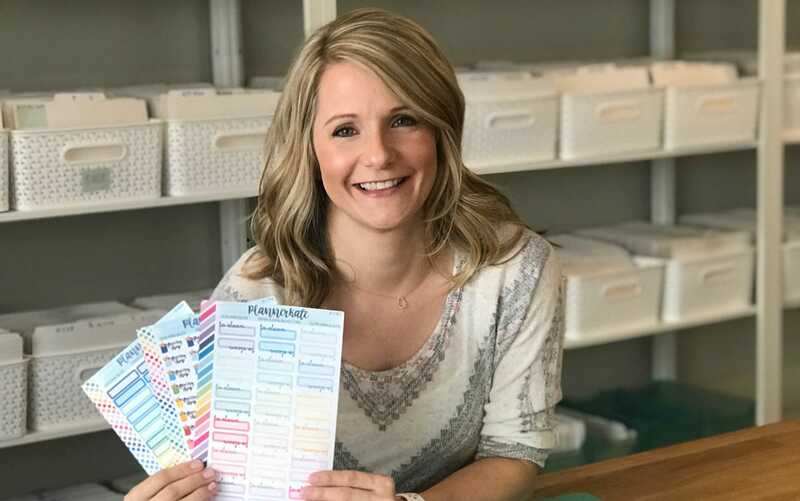 With the help of the planner community’s support, Kate grew her business to one of the top 10 shops on Etsy. After four years, she’s made more than 500,000 sales. She went from making the stickers on her own with one Silhouette to having a team of three people and 40 Silhouette machines. She likes her home and her things nice and orderly and organized. That’s where her business savvy comes in. With that mindset, she likes to pair style with function in her business. “I just try to think of myself and what I would want to use. That’s where my business started. Most of my stickers are very functional,” said Kate. Her children’s friends know her as the sticker lady. Her Silhouette machine allowed her to make more stickers and saved her a lot of time. She would never have predicted that her Instagram post of her stickers would lead to her life’s work, but she took that risk. To those wanting to create, she says just do it! Find Kate on Instagram, Etsy at www.plannerkate.com, and in her PlannerKate Community Facebook Group. 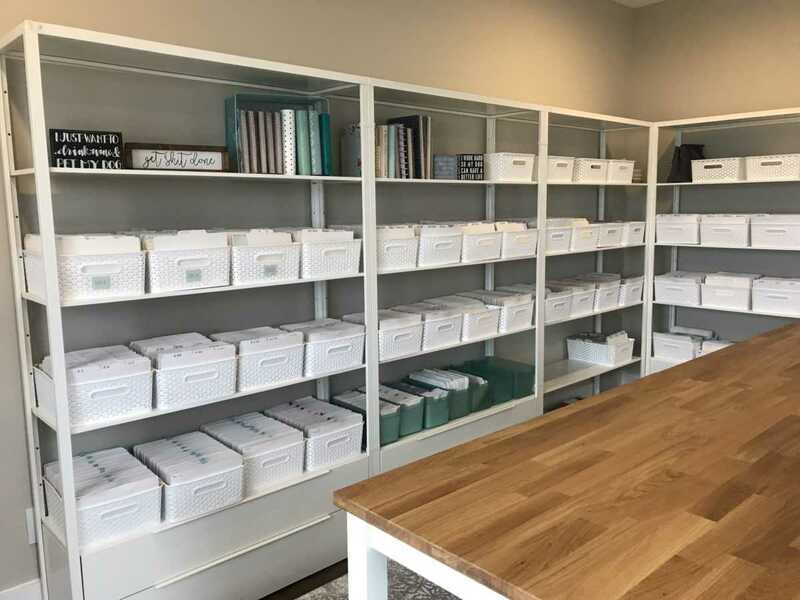 I am a self-professed PlannerKate Addict…….I actually convinced my husband to buy me my Silhouette so that I wouldn’t buy any more planner stickers!! 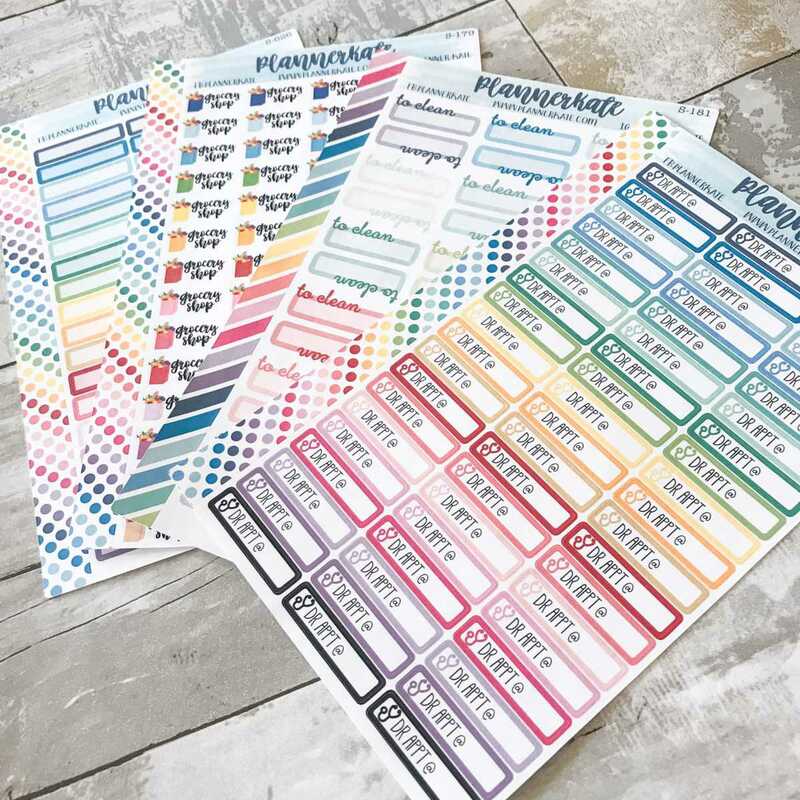 But I never did quite have the knack for designing them, and then I found Kate……and now I do vinyl and spend all my money on HER planner stickers!! A total win-win in my book!! So cool! I love her stickers and was so excited to see this article! 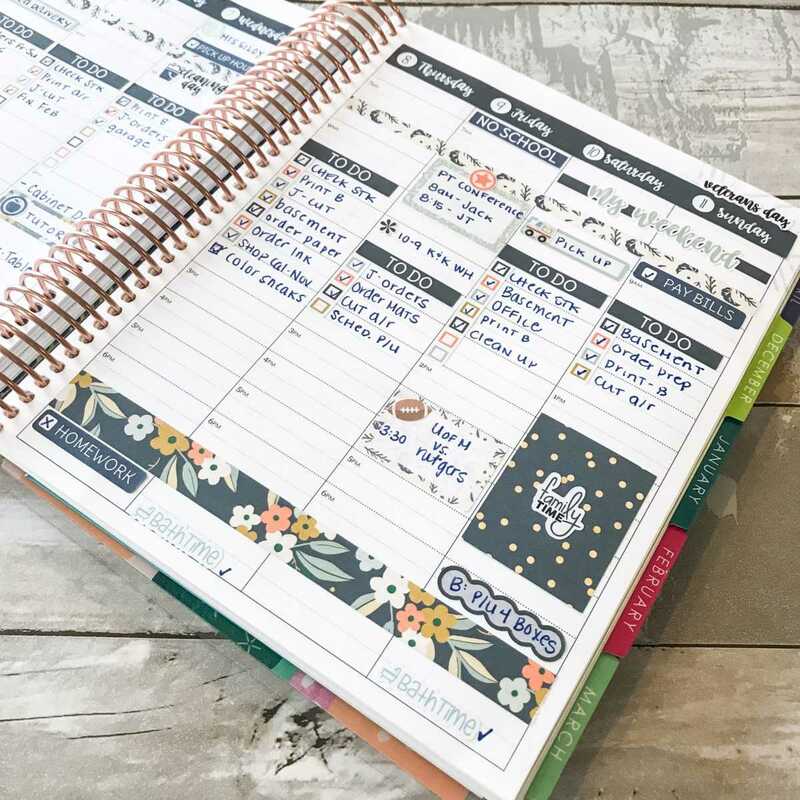 So inspiring and definitely a staple in the planner community world! Congrats plannerkate! Keep on it rocking! So impressive! 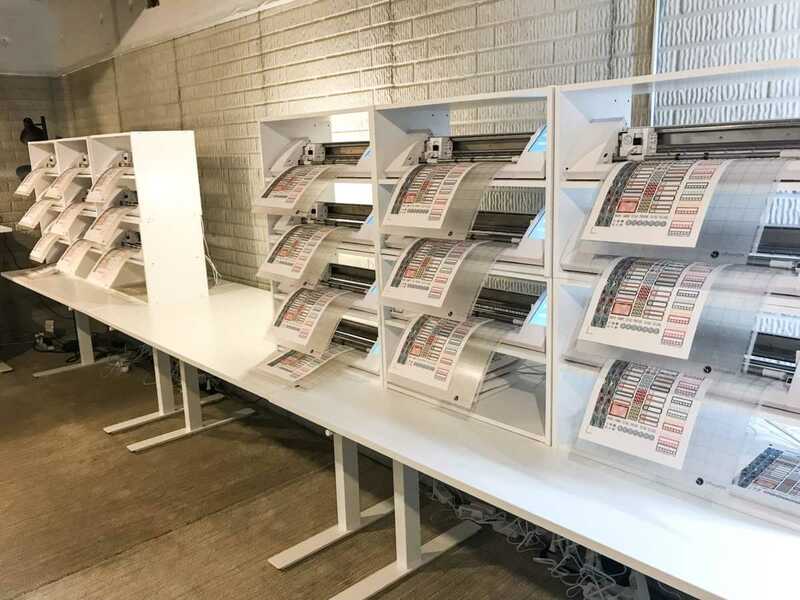 Would love to know what kind of printer she uses. Kate is amazing, get business is #1 in my book & her sticker selection is beyond imagine. I don’t know how she comes up with all of her designs, but she does a great job & her customer service is excellent. I’ll never stop buying from Kate. Thanks for the story… it was crazy to read/ see a little of the “behind the scenes” of her business. A dream come true!! !